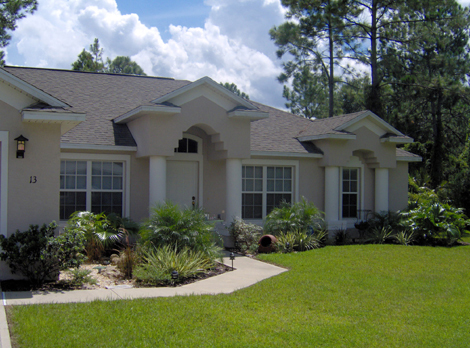 Residential designs that display the homeowner's personality, yet incorporate essential water conserving principals and low maintenance planting design. 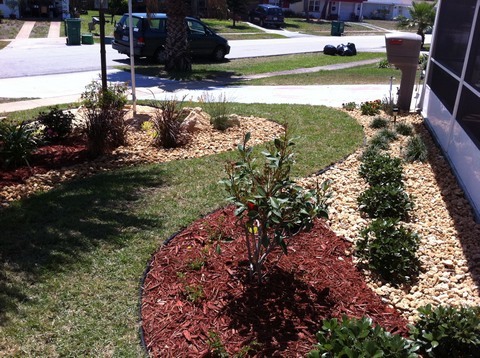 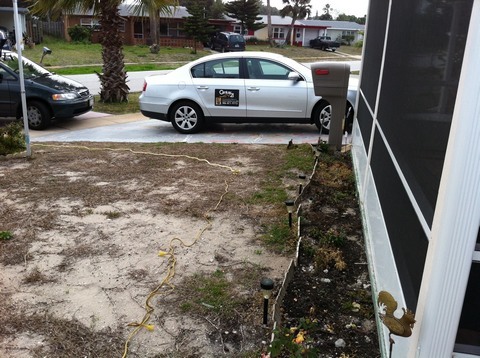 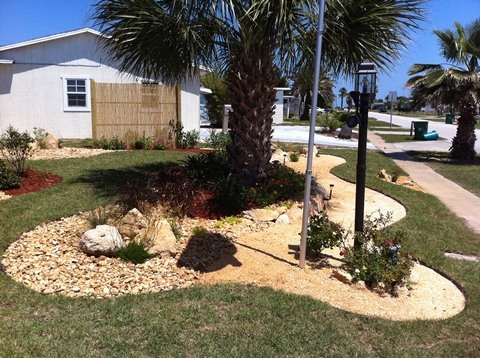 Oceanside landscape design that achieved the homeowner's objectives for reduced turf, curbside appeal and reducing erosion that lead to dirt left on the sidewalk after hard rains. 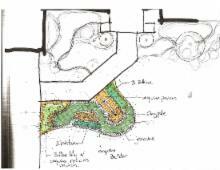 The first objective was to design a retaining wall, thereby eliminating the erosion issue. 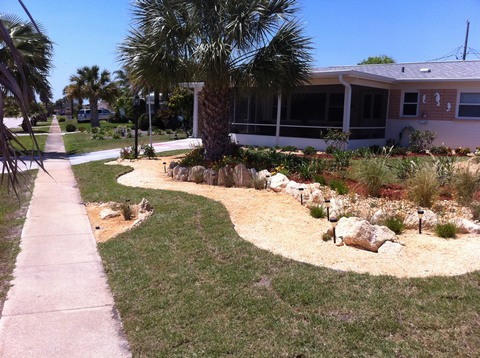 Second, a curvilinear landscape bed was designed around the natural coquina retaining wall, reducing the amount of overall sod. 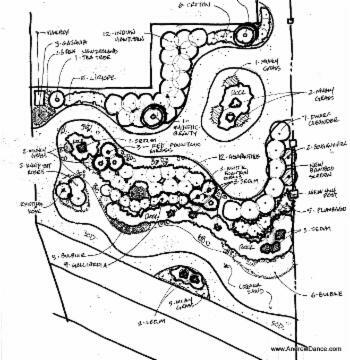 A mixture of hardy, colorful and salt-tolerant plants and perennials were designed into the landscape plan. 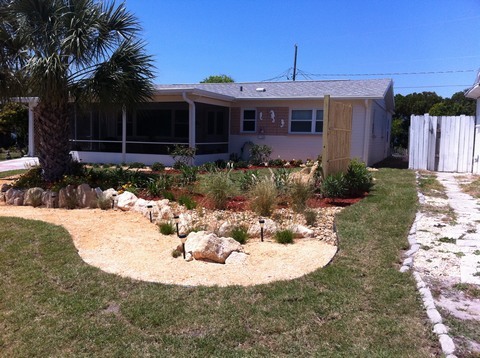 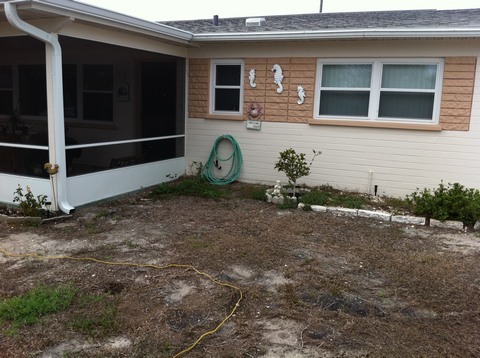 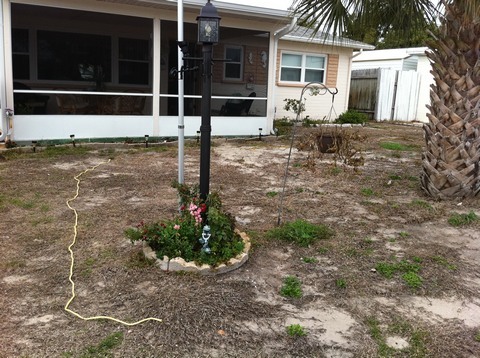 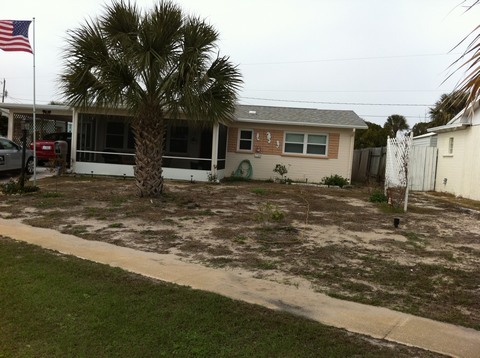 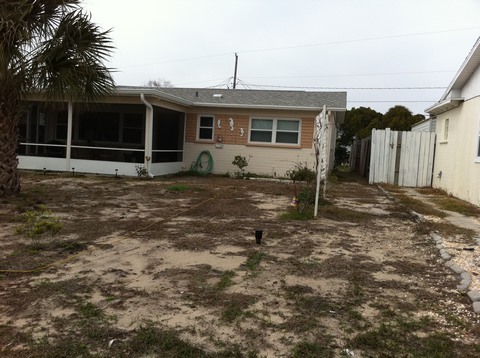 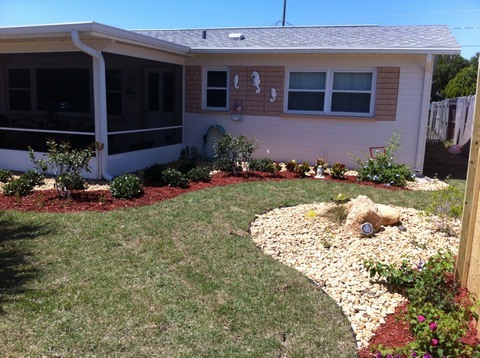 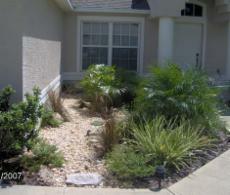 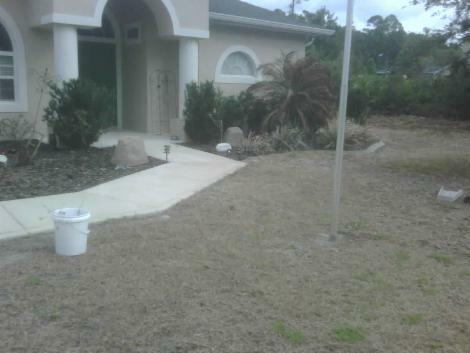 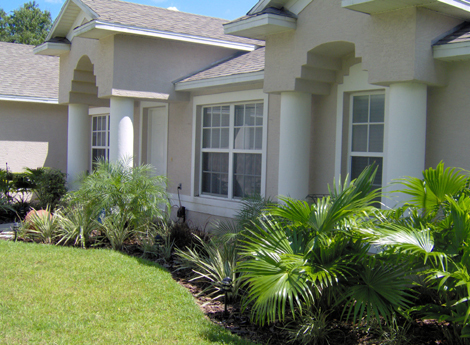 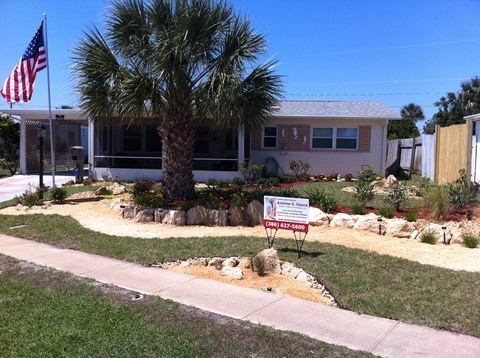 Water conserving landscape design that achieved the homeowner's objectives for improved stormwater collection, native coquina hardscape elements and the replacement of tropical plants that were killed by the winter cold. 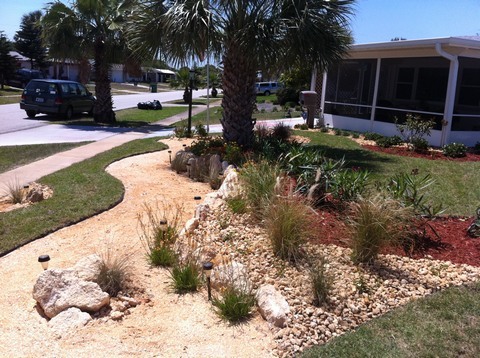 Water conserving landscape design with rain gardens for roof rainwater collection. 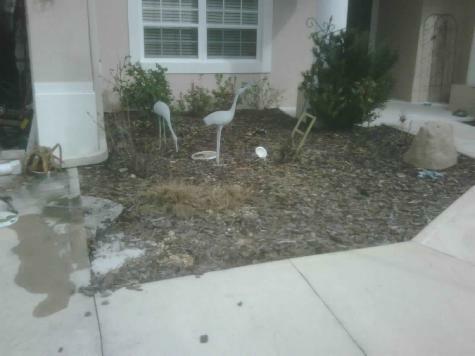 Installed in September, 2007. 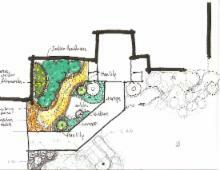 More residential designs still to come...check back frequently! 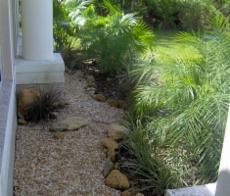 Transforming ideas into beautiful, inviting, inspiring and active spaces!